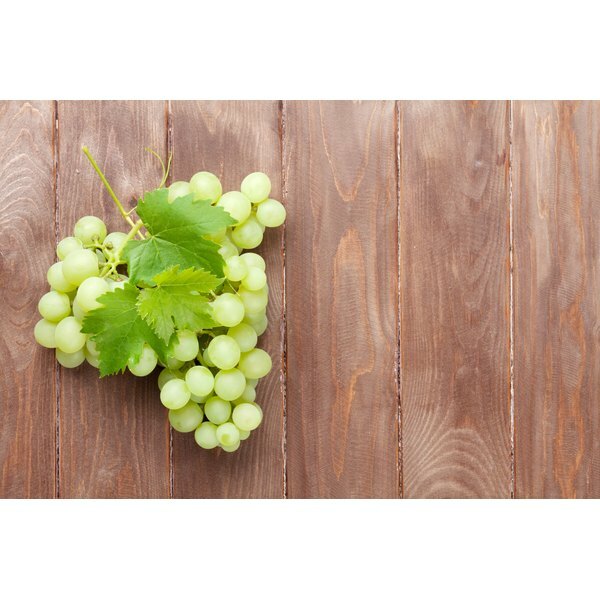 Grapes are well known for their health benefits, and grapeseed extract can be used for medicinal purposes as well. Grapeseed extract, which can be consumed in capsules, are typically standardized to have between 40 to 80 percent of proanthocyanidins or an oligomeric proanthocyanidin complex content of at least 95 percent. Before using this supplement for health reasons, talk with your health care provider about safety and dosage. Preliminary studies show that grapeseed extract may effectively lower cholesterol and high blood pressure. The University of Maryland Medical Center states that people taking both grapeseed and chromium showed a bigger reduction in overall cholesterol levels and the "bad" cholesterol, or low-density lipoprotein, than both those taking a placebo and those taking only grapeseed extract only. It is hypothesized that this is due to the flavonoids in grapeseed, but this is not definitively known. According to Drugs.com, studies have also found grapeseed to effectively lower blood pressure in patients with metabolic syndrome, but more research needs to be done in this area. Antioxidants help protect cells from damage caused by free radicals; grapes contain chemicals called oligomeric proanthocyanidin complexes, or OPCs, that are powerful antioxidants. According to the University of Maryland Medical Center, healthy volunteers taking grapeseed extract had increased antioxidants in their blood. These antioxidants can reduce the likelihood that free radicals can cause damage to DNA and cause illnesses like cancer. Suggested dosages for antioxidant benefits are 25 to 150mg, one to three times a day. Chronic venous insufficiency occurs when blood is not adequately transported from the veins in the legs back to the heart. Grapeseed has shown to relieve symptoms of this condition. It is also helpful for reducing swelling after an injury or surgery because it promotes blood circulation. Women who had surgery for breast cancer and took grapeseed daily after the operation had less swelling and pain than those women who received a placebo. Patients using this for circulation should take 150 to 300mg daily; for swelling, take 200 to 400mg a day for 10 to 30 days. Grapeseed extract may help reduce the risk of developing certain kinds of cancers, including breast, stomach, colon, prostate and lung cancer. In test tubes, this supplement has slowed the growth of cancer cells of these kinds, but it is not known whether it would have the same effect in humans. This supplement may also help protect liver cells from damage caused by some chemotherapy agents; consult your oncologist before taking grapeseed during chemotherapy. What Is Pycnogenol Good For?